If you don’t plan, you are planning to fail. This is the last Sunday you will get this email. Because it’s the last Sunday that’s going to be a workday for me. Starting next week you’ll get my blog every Tuesday. I have created 48 hours off at the weekend, and 24 hours off midweek. This final hack (I ll spare you the details) was made only yesterday, and it was an epiphany moment. Especially since I realized I would never have established this amazing schedule, carving and polishing and refining relentlessly these last few weeks, if I hadn’t gotten involved in something I only used for a minimum amount of time; a bullet journal. A bullet journal is one notebook (or ringbinder, Filofax, Midori travelers notebook etc) containing all your lists, all your planning, your habit trackers, your appointments, your notes, your business ideas, your shopping lists. You get the idea. It’s EVERYTHING. If you want more info on creating a bullet journal with different compartments (= 3-4 smaller notebooks in one bind), then check “Midori Bullet Journal”. Or YouTube for Faux Dori and Happiedori for fun DIY ways to create a travelers notebook. I also recommend this if you have used leather notebooks or journals, and want to reuse the cover! The Midori will give you an idea of how to make a refillable leather cover out of your old leather notebook. a constantly improving weekly planning. Whenever I felt overworked, stressed out, when I couldn’t sleep because I had spent till late completing a task, or I was simply haunted by new ideas when I wanted to sleep, I went through the days I had made. And realized I had every reason to feel like that. That I had put so many things on my plate that I had created an unsustainable workload. So I cancelled classes and projects, slimmed down my offering, and got very realistic about how much my time was worth. Slowly, and over the course of months, the workload became manageable, and started fitting into the schedules I was creating. I no longer tried to muscle through big projects, which had made me feel like I was in some sort of emergency mode all the time. The original Bullet Journal got abandoned, but two smaller ones sprung from it. I started jotting my hour registration in a gorgeous little self-care notebook (so that I don’t work too hard). And started an Inspiration Journal, that I am slowly filling (in my newly found free time!) taking notes from inspiring videos and by migrating the earlier quotes and notes from the bullet journal, in the new designated notebook. And in the upcoming weeks I plan on migrating my wishlists and other personal stuff, into my now barely used Filofax, and making cute page dividers! Just like Boho Berry did for her lose leaf Bullet Journal, that she started November 1. So with the original bullet journal abandoned, and divided up even further from four sections into 6 different notebooks and binders, I never considered myself a successful Bullet Journalist. But what I didn’t realized was that I could never have gotten where I am today, nor have the weekends off, and all my tasks nicely lined up for me in the weeks ahead, if I hadn’t started. Just like my first 24h journal, this whole process was essential to come to where I am today. Even if that is so far from the real bullet journal method, it helped me to perfect and optimized what I find important. And what I m interested in. The year is almost coming to an end, and I think if you consider learning how to Bullet Journal, this is the best time. Just use a cheap notebook, and set it up for the weeks ahead. By the time it’s Christmas, you’ll have gone through the first phase of your adventure and will know exactly how you want to set up 2017. And buy yourself an amazing new journal for 2017. I still have Boho Berry videos with every meal, and am currently totally addicted to a sweet Belgium Girl making all kinds of journals from ordinary office materials. Because once you have the bullet journal, and journaling virus, you’re hooked. And it’s better than Netflix. les 2 van het Nederlandstalige eindejaars programma. A master schedule is a tool yoga teachers use & you can use it for your home practice. Especially if you’ve watched the video first, the master schedule gives you the opportunity to have a home yoga practice without using videos. So print your master schedule 1990 before you begin, and the rest of the week you can do yoga without the videos. 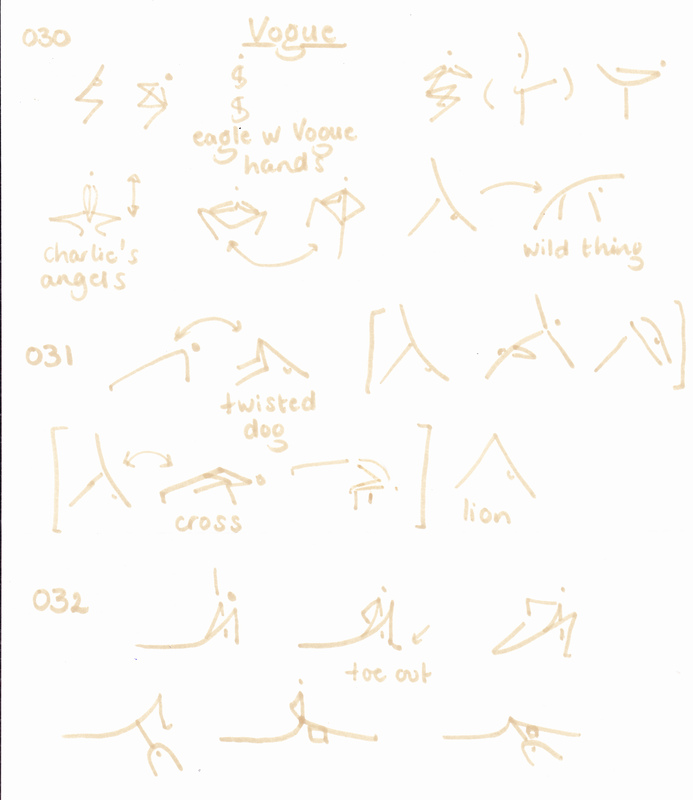 030 Vogue – includes my newly invented vogue pose!